The Senior and Senior Elite programs encourage each individual to reach their full potential in the sport of swimming. Senior/Senior Elite level athletes are motivated to strive towards excellence and high performance. These programs focus on building a strong training base, while continuing to develop all competitive strokes, distances and events. It is designed to challenge athletes in various competitive situations with attention given to all aspects of development as an athlete. The Senior/Senior Elite programs are significantly more individualized as the swimmers begin to specialize in strokes, events and distances. For both Senior groups, competitions are based on time standards, ability, and experience. The high-performance season runs from mid-September until the beginning of August, with swimmers competing at the highest possible level. Athletes who make national standards and tour teams must train longer into July and early August as the competitions they attend follow the International Calendar. The Senior group is designated for swimmers between the ages of 12-18. Swimmers must be recommended by their Junior coach to move up. Considerations for recommendation include, but are not limited to, regional time standards, test set results, attendance, attitude, work ethic, and maturity. To maintain eligibility in the Senior group, swimmers must sustain no less than an 80% attendance for all wet and dry land practices. This group swims 5-6 times per week. The Senior Elite group is designated for swimmers 13-18 at a Festival, AA Champ, Provincial level or above. AA/Prov. B times are also considered. Swimmers in the Senior Elite group are expected to have a minimum of 85% attendance in water, dry land and weight training practices. Senior Elite is the highest-level group that MUSAC offers. It is a performance-based training environment reserved for the most dedicated athletes. Before admittance to Senior Elite, swimmers must prove readiness to handle this level of commitment. Athletes in this group swim a minimum of 8 times per week. The Junior and Junior Elite programs prioritize the importance of learning to train and learning to race to the peak of each athlete’s physical ability. Coaches work to maintain stroke efficiency while continuing to develop precise technical skills. The Junior/Junior Elite programs are designed to challenge swimmers on both a mental and physical level with various levels of training and competition. Swimmers are introduced to SMART goal setting and are guided by coaches to make appropriate season goals based on age, ability and commitment to the program. Swim meets provide the opportunity to practice performance skills, race strategies, challenge goals, and test mental and physical fitness. Junior/Junior Elite swimmers are required to compete. Both groups demand a dedication to training, attendance, and skill development as the Junior/Junior Elite group feeds into the Senior and Senior Elite programs. There is no stroke or event specialization at this level of swimming. 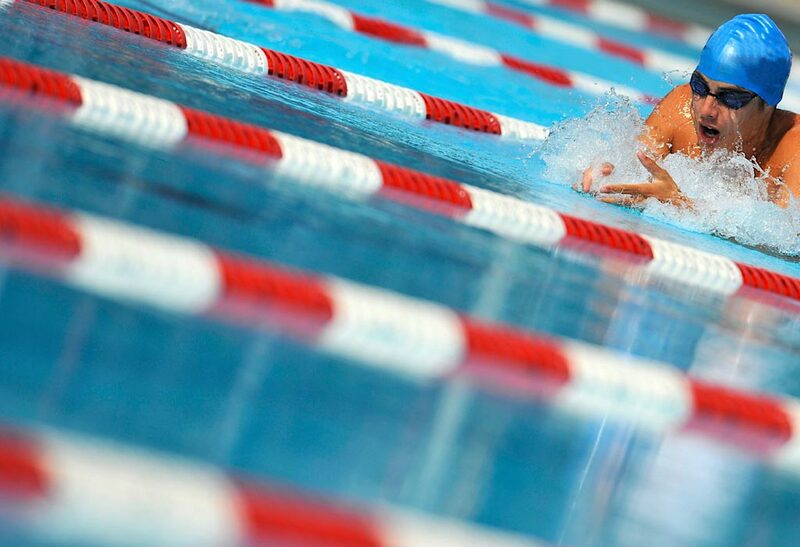 Swimmers train for all strokes, distances and events. The Junior group is designated for swimmers between the ages of 9-14. Swimmers must be recommended by their Novice 2 coach to move up. Considerations for recommendation include, but are not limited to, test set results, attendance, attitude, work ethic, willingness to compete, and maturity. To maintain eligibility in the Junior group, swimmers must sustain no less than an 75% attendance for all wet and dry land practices. Athletes in this group swim 5 times per week. The Junior Elite group is designated for swimmers between the ages of 9-14 that have demonstrated an elevated level of dedication, ability and work ethic. Because this group trains with Senior once per week, admittance to this group includes a time-based component. Swimmers must be able to train on pace with the lowest level of Senior and swimmers should be Festival qualifiers or on track for Festival time standards. To maintain eligibility in the Junior Elite group, swimmers must sustain no less than an 75% attendance for all wet and dry land practices. Athletes in this group swim 6 times per week. The Novice 2 program is designated for swimmers aged 8-12. This program introduces swimmers to the fundamentals of competitive swimming. At this level, coaches focus on technical skill acquisition, development of aerobic fitness, and attainment of competition skills. Novice 2 provides swimmers with a sense of routine, competitive training and racing, sportsmanship, team spirit, and a love of the sport. Athletes are also introduced to basic goal setting with assistance from coaches. Novice 2 swimmers are required to compete at swim meets appropriate for their age and ability, including local time trials, regional development meets, and select age group meets. Athletes in this group swim 3 times per week. The Novice 1 program is designated for swimmers new to the sport of competitive swimming aged 7-10. It is a technical/skills-based program that focuses on proper strokes, starts and turns. After acquiring the necessary skills from MUSAC’s Minnows program, swimmers will move into Novice 1 based on recommendations from Minnows instructors and the lead Minnows coach. Novice 1 swimmers also learn basic racing and aerobic training skills. Competitions are optional but swimmers in Novice 1 are encouraged to attend regional development swim meets and club time trials. Athletes in this group swim 2-3 times per week. The Muskoka Minnows program is designed for children aged 4 to 11. Skilled instructors lead swimmers in small groups, supervised by the lead Minnows coach. Minnows swimmers develop swim endurance, kicking, body position, out of water recovery of arms, and breath control. This dynamic program offers young swimmers an opportunity to develop competitive swim skills in a fun, exciting and encouraging environment. Swimmers entering this group must be able to swim a minimum of 10 meters unassisted. Minnows is a non-competitive group with options to swim 1-2 times per week. MUSAC’s programming follows Swimming Canada’s Long-Term Athlete Development strategy, which emphasizes the importance of developing lifelong swimmers. The Masters program provides a space for adults from various backgrounds to continue their development in the sport of swimming at a level that they chose for themselves. Masters members include of all types of competitive and non-competitive swimmers ranging from former national level swimmers, former youth competitive swimmers, former high school swimmers, tri-athletes, and casual swimmers. Anyone aged 18-100 that can complete a few lengths of a pool, non-stop, is welcome to join. It is an encouraging, inclusive, and social environment that promotes swimming as a lifetime activity. Which programs are right for my family? Need help figuring out what program you, your child or children should enroll in? No problem, simply contact our Head Coach, Morgan Kierstead at musacswimming@gmail.com. We are looking forward to seeing you at the pool!